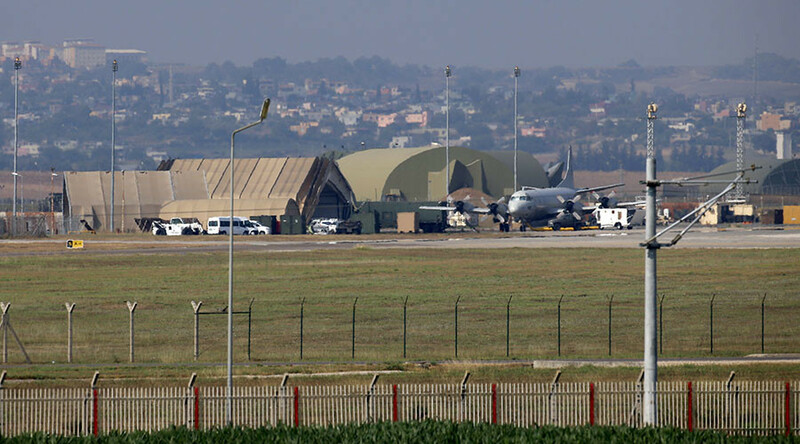 “Turkey opened Incirlik airbase to fight Daesh [Islamic State, formerly ISIS/ISIL] terrorists. It is being used by the US and Qatar. Other nations might also wish to use the airbase, which the Germans are also now using,” Yildirim told reporters on Saturday, as quoted by Anadolu news. Amid unsubstantiated reports that Washington might be moving its nuclear arsenal out of Turkey and into Romania, which Bucharest has already denied, Izvestia Daily fueled the rumors by reporting that Russia might soon move into the Turkish base. Given the recent rapprochement between Moscow and Ankara, the Russian publication cited upper house member Igor Morozov as saying that “it just remains to come to an agreement with Erdogan that we get the NATO base at Incirlik as [our] primary airbase.” According to the MP, Incirlik would give Moscow a strategic advantage and provide for a swifter conclusion to Russia’s anti-terrorist operation in Syria. Meanwhile, Yildirim expressed doubt that Moscow would actually need to use the Turkish airbase, pointing out that Russia’s forces already have two local airbases from which to launch missions in Syria, and that being 100-150 kilometers closer to their targets would not provide any strategic advantage. Most of Russia’s warplanes that carry out airstrikes on terrorists are based at the Khmeimim base in Syria and, since recently, Iran’s Hamadan base. The country’s Aerospace Forces also use airbases in Russia for long range strategic missions. Russia launched its anti-terrorist air campaign in Syria on September 30, 2015, at the request of Syrian President Assad. However, if Moscow does indeed ask permission to use the Incirlik airbase, it would most likely tip the balance of Turkey’s defense strategy away from NATO, of which it has been a key member for decades. “It seems to us that NATO members behave in an evasive fashion on issues such as the exchange of technology and joint investments. Turkey intends to develop its own defense industry and strengthens its defense system,” Turkish Foreign Minister Mevlut Cavusoglu told Sputnik earlier this week. “In this sense, if Russia were to express interest, we are ready to consider the possibility of cooperation in this sector,” the FM added. 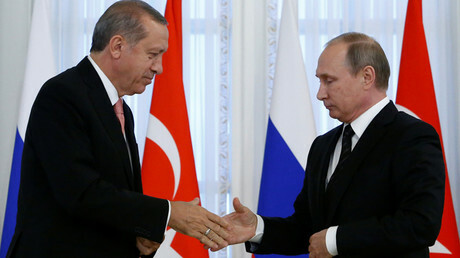 Closer military cooperation between Ankara and Moscow was made possible after Turkish President Recep Tayip Ergodan met with “his friend,” Russian President Vladimir Putin, earlier this month. The meeting provided an opportunity for the leaders to improve bilateral relations between the two countries that hit rock bottom last November when Turkey’s Air Force shot down a Russian military jet over Syria. Ankara’s apology and change of heart was likely prompted by the seemingly lukewarm support for the current Turkish president and government expressed by the US and its allies in the aftermath of a failed coup attempt last month. Fearing for the safety of the US’ nuclear arsenal in Turkey, a Washington DC-based think tank released a report on Monday urging American lawmakers to remove US nukes from the region. Turning up the heat on Tuesday, EurActiv claimed that US forces have already begun to move their nuclear weapons from the Incirlik base in Turkey to the Deveselu base in Romania – a report that the Romanian Foreign Ministry has officially denied. As Washington remains silent on the issue, Foreign Policy published an article entitled “No, the US Is Not Moving Its Nukes From Turkey to Romania” citing nuclear weapons expert Jeffrey Lewis, who pointed out that relocating the deadly arsenal is not possible, as Romania lacks the required infrastructure to provide safe storage for the bombs. Under NATO’s nuclear-sharing agreement reached during the Cold War in the 1960s, in order to deter a perceived threat from the Soviet Union, some NATO allies were authorized to store the B61 nuclear gravity bombs on their territories, while others committed to maintaining aircraft capable of delivering them. Open source estimates suggest that approximately 150-200 US “non-strategic nuclear weapons” are deployed in NATO countries including Belgium, Germany, Italy, the Netherlands, and Turkey.